Like any good relationship, you need to put some work into the one you have with your grill. It doesn’t matter if you’re dealing with a top-of-line model or a cheap knock-off, with proper maintenance, cleaning your grill bound to keep it working a long time. If you have an enamel grill, you can just spray a paper towel with glass cleaner and wipe down the exterior. For a stainless steel grill, you should use a brush and polish made for steel. Then you can buff along the grain with a microfiber cloth. After getting a fire going, the first order of business is cleaning the grill grate. 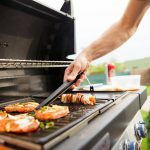 The grill grate will see the most action and because of this—and the fact that food will come into direct contact with it—most of your cleaning attention should be focused here. If you haven’t already, invest in a good grill brush with a long handle and firm bristles or scouring pad. Remove the grates and the metal plates underneath, and place everything in a bucket of hot, soapy water. After a few minutes in the bucket, give the grates and the plates a good scrubbing with the grill brush; dip and redip it in the soapy water as needed. Give the grates a rinse with the garden hose and set aside. Use the grill brush to scrub the inside of the hood with hot, soapy water (that stuff that looks like peeling paint is a harmless buildup of carbon), and use steel wool for hard-to-get nooks. Remove and clean the drip pan, then toss it into the soaking bucket. Let sit, then scrub with the grill brush and rinse with the hose. Reassemble the grill (no need to dry anything), and reconnect the propane tank. If there’s a cabinet below, give it a good sweeping with a whisk broom, then wipe it out with a damp paper towel. Oiling your grill grate helps prevent food from sticking when cooking. To do this, dip a wadded paper towel in a little oil and, using tongs, wipe the oil evenly over the grate. Be careful not to use too much oil, because that’s a sure fire way to start a good flare-up—a little goes a long way here. Cleaning the grill grate and the ash out is very important, the rest of the grill—not so much. About once a month take a rag and some cleaner to the outside of the grill to keep it looking nice and shiny. Like a good cast iron pan, grilling over and over seasons the inside of your grill. Fire up the grill, cranking it high for 15 minutes to burn off any food residue. Use a stainless-steel grill brush to scrape anything loose off the grates. 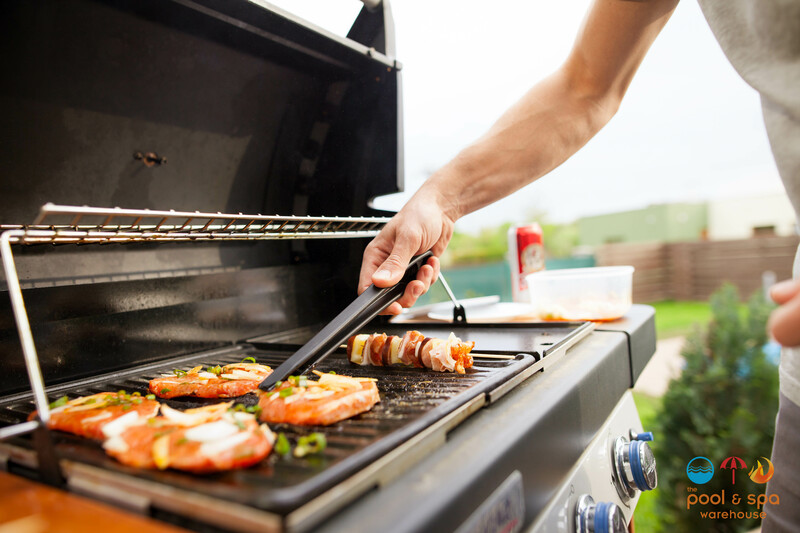 Then turn all the knobs off, disconnect the propane tank (or, if your grill is connected to your main gas line, turn off the gas line), and wait until the grill is cool to the touch. Make sure the propane tank is turned off. Remove the briquettes and cooking grates, and carefully detach the gas tubes and burner. Clean the tubes with warm, soapy water and dry them with a towel. Wipe the burner clean with a damp cloth. If you have a gas grill, one part that often gets clogged is its burner tubes. Symptoms of dirty burners include reduced flame size. They may also burn with an orange color instead of the usual blue. Both indicate abnormally low temperatures and an underpowered grill. Typically a gas grill has multiple burner tubes, though some may only have one. Use a nylon or steel wire brush to gently clean the small holes on the tubes. Be sure to brush from the center of the tube outward, moving sideways (not up and down). Otherwise, you may push debris into the tube or holes themselves instead of clearing them. 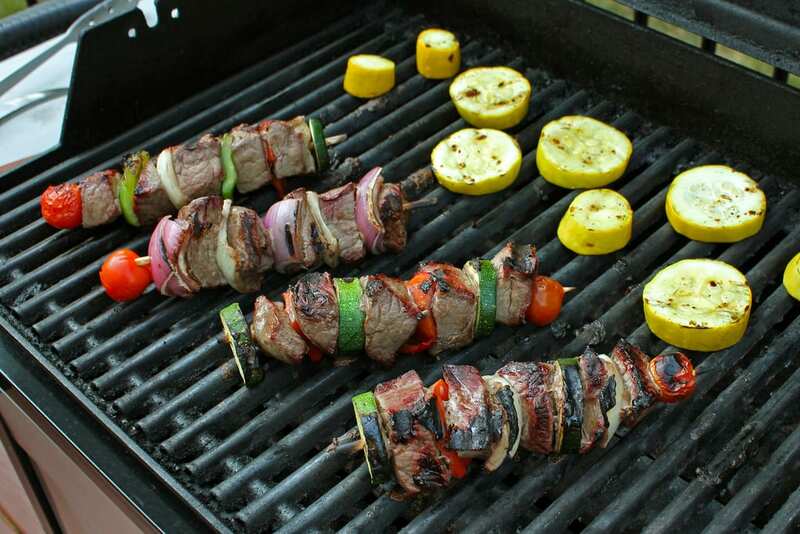 During grilling season, briquettes transfer heat to the cooking grates, leaving them coated with grease. Before firing up your grill, flip over the briquettes, close the lid, and heat the grill on high for 15 minutes. Certain practices can help discourage deposits of dirt and grease from forming in the first place. One method is to grease the grates of your hot grill with a little cooking oil right before you start cooking. In the same vein, scrubbing grates with raw onion is another tactic you can try. If you do have a grill brush without bristles, it’s a good idea to scrape your hot grates both before and after grilling. If you don’t have a grill cover or never use the one you do have, change your ways. It could reduce your monthly deep-cleans to once a season. 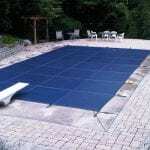 Best are vented covers, which allow moisture to escape. If you have any questions about grills or cleaning your grill then you should contact us here! With spring on the horizon, so is the season’s first backyard cookout. If your grill has been braving winter’s storms on your back deck, it might be time to get it ready for this year’s BBQ season. Follow these simple steps to care for your grill and your neighbors will be jealous of the delicious smells coming from your backyard in no time. When your grill isn’t in use, you should ensure you have a cover that will protect it from the elements. It’s important you check your propane tank to ensure all connections are tight, and that you have enough in it to start grilling. Your burner should evenly distribute heat and flame. If it seems blocked it may be time to replace parts. Leftover food from last season? Nothing a little soapy water and a wire brush can’t fix. 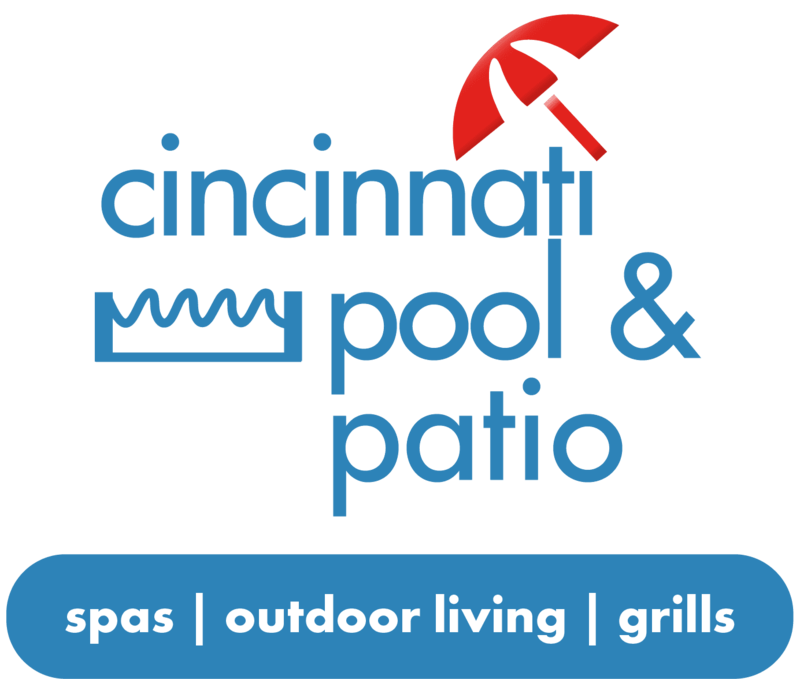 Contact the Cincinnati Pool & Patio with any questions about our wide selection of custom gas grills to liven up your outdoor living space. Summer is the season for grills and barbecues. The increase of grill usage comes with an increase in accidents related to grills too. 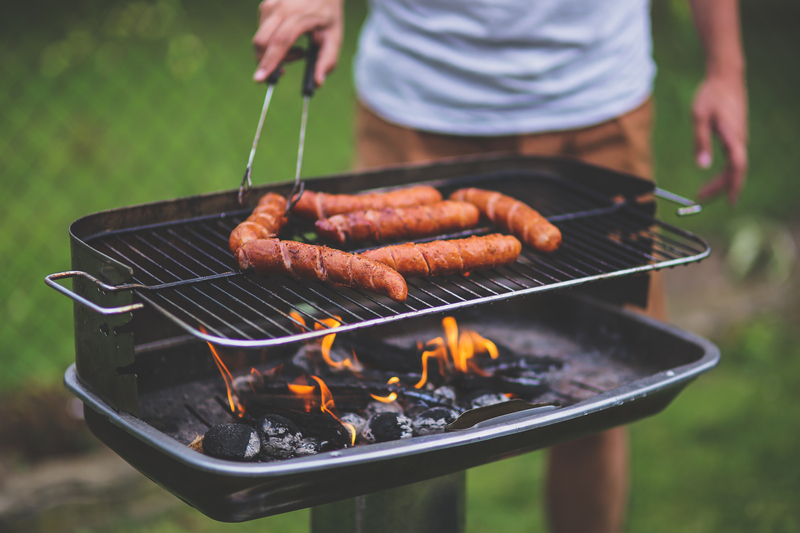 When using your grill, make sure you’re taking the precautions necessary to keep your summer party safe and fun! When dealing with fire, it’s important to take every precaution necessary to ensure the safety of you and anyone who is near your grill. The first important task is making sure you have a fire extinguisher close. In the case of any accidents, you need to take care of it quickly. When dealing with fire, it’s important to know how to stop it from spreading. On average, charcoal grills cause more fires than gas grills. The biggest problem with these type of grills is lighting the charcoal. Dealing with lighter fluid can be quite dangerous, and using too much or using it at the wrong time can cause mishaps or accident to happen. Basic rules for food safety are: inspect everything you’re serving, keep it covered while it’s outside, keep it cool before you cook it, thoroughly heat it up, and always use your head. Bacteria can grow at any temperature above freezing and will stay alive until it reaches 165 degrees. For a gas grill, you need to regularly check your gas lines, and make sure none of them are clogged up from debris, food, or bugs. At the first sign of any trouble, you should turn off the valves, the fuel tank, and disconnect everything before you attempt to fix it. It’s important that when you’re operating a grill, you should be wary about how much alcohol you consume. Just like when you operate a moving vehicle, you shouldn’t operate a grill under the influence of alcohol. Even though there’s no way to stop smoke coming from your grill, it’s important not to breathe it directly or have it blow towards others at your barbecue. Smoke from your grill contains carbon monoxide and other dangerous substances. It’s not healthy for your guests to be directly exposed to these chemicals. 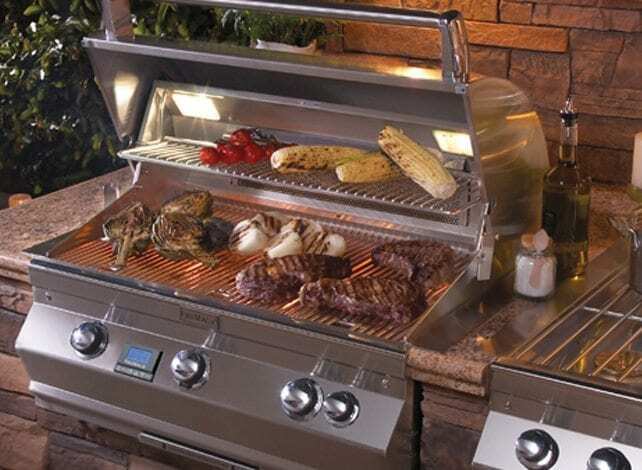 If you have any questions about our supply of grills, please don’t hesitate to contact us. Like any good relationship, you need to put some work into the one you have with your grill. It doesn’t matter if you’re dealing with a top-of-line model or a cheap knock-off, with proper maintenance, any grill is bound to keep working a long time. Have more questions about how to keep your grill in great shape? Contact us here! It’s that time of year. 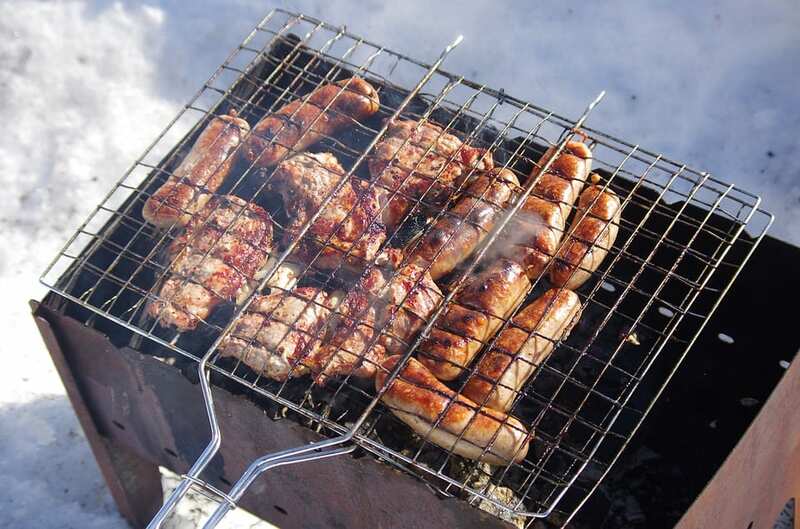 Cold, dark winter days are slowly becoming longer and warmer, which can only mean one thing…grilling season is back!!! 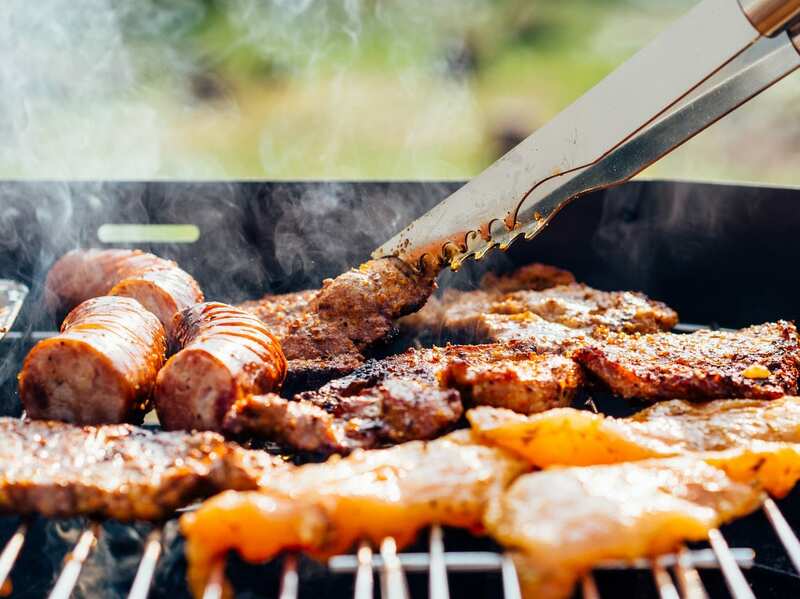 Soon it will be time to fire up your gas grill and start enjoying the great outdoors, but before you throw those steaks and burgers on you’ll want to give your grill a thorough cleaning to ensure it’s ready to go! Cleaning your grill before its first seasonal use will help extend it’s life, as well as improve the flavor of the food you cook. Whether you own a tried and true stand-alone gas grill or the latest in built-in island luxury, the following steps will help ensure that you get the most from your appliance. For more information on how to get the most from your gas grill, please contact us. It’s been a long winter in Ohio, but with spring on the horizon, longer days and warmer temperatures are promised. Soon, clear skies and long weekends will create the perfect recipe for the season’s first backyard cookout. If your grill has been braving winter’s storms on your back deck, it might be time to pull off the cover and get it ready for this year’s BBQ season. Grill grates can rust during winter’s downtime, and propane connections can loosen due to improper storage. You’ll need some quick tips to get your grill back in tip-top shape. Follow these simple guidelines to care for your grill and your neighbors will be jealous of the delicious smells coming from your back yard in no time. Check your propane tank. Make sure all connections are tight and you’ve got a full tank ready to go. You wouldn’t want to run out in the middle of making the burger of the century! Clean those grates. Leftover food from last season? Nothing a little soapy water and a wire brush can’t fix. You can also wipe down the outside of your grill to remove greasy residue with a vinegar and water solution. Invest in a grill cover. Once you’ve done all the hard work of cleaning your grill, you should grab a cover to protect it from the wind and rain Spring brings with it. Check burners. Make sure that you’ve wiped excess grease out of the interior of your grill with a paper towel and check burners for blockage. Your burner should evenly distribute heat and flame. If it seems blocked it may be time to replace parts. If you’ve done all these things, and your grill has still seen better days it may be time to upgrade to a new model. Contact Cincinnati Pool & Patio with any questions about our wide selection of custom gas grills to liven up your outdoor living space. A new grill may be just what your springtime BBQ bash needs!